InfoPlays Monday MLB report includes 2 picks! Finally get an edge over your book with expert insights from our team! $1,000/game players have cashed in $11,220 on my MLB picks since 04/09/18! #2 ranked MLB handicapper in 2015! Mon's 10* MLB INFO PLAY on Diamondbacks/Pirates! Info Plays is on an impressive 183-188 (49%) run over their last 392 MLB picks! If you are one of his $1,000/game bettors you are up $13,100 since April 09, 2018! WIN NOW with the Money Line on the Diamondbacks v. Pirates game! Mon's 10* MLB INFO PLAY on White Sox/Orioles! WIN NOW with the Money Line on the White Sox v. Orioles game! If you were playing our games for a dime a play you'd be up $13,100 IN PROFITS since April 09, 2018! Don't miss out on any more WINNERS! Find out for yourself why the Info Plays team is so well respected when it comes to baseball. We MUST SHOW A PROFIT or else you will get EVERY MLB PLAY tomorrow on Info Plays! Now on a 6-4 run with my last 10 All Sports picks! $1,000/game players have cashed in $17,400 on my All Sports picks since 03/02/18 and $55,850 on my All Sports picks since 10/01/17! Info Plays 2018-19 NBA & CBB Season Subscription! Currently on a 225-200 Basketball run since 11/07/18. Now on a 4-3 run with my last 7 MLB picks! $1,000/game players have cashed in $11,220 on my MLB picks since 04/09/18! Info Plays is one of the most consistent NCAA basketball handicappers. He ranked sixth in CBB during the 2009-10, 2012-13, and 2013-14 seasons, making well over $1,000 in profit each season. And his accolades go much further than that. He was the #2 handicapper during the 2012 NFL season, and #3 during the 2015 MLB season. That’s proven results in three sports, and has had success at the college and pro levels. That strong MLB handicapping year in 2015 has carried over to 2016. Info Plays is carrying a 558-490 record in MLB capping since May 2015. A win rate of 53% doesn’t stand out as an impressive record, but a profit margin of over $5,700 sure does. His recent NFL record is also worth noting. He is 95-67 since December 2014, earning over $2,100 in profit on his picks. And if you’re the type of person who likes betting on the NFL preseason, he has a proven track record in that, too. His records in individual sports should only go to show you that you can make money in anything with Info Plays. He has several top 10 finishes in basketball, football and baseball in the past decades. But perhaps most important, he had a #3 finish in all sports for 2013. That all sports finish shows the reliability Info Plays has built their reputation on. 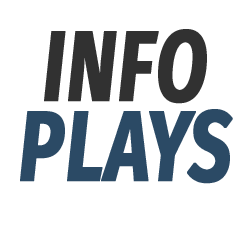 Info Plays puts out a high volume of plays, but is still able to achieve winning percentages around 55%. That’s a deadly combination and it’s why clients show healthy profits year after year.